Hi! I don’t know since when happens, but with today’s blender build (26-02-2019) and SAM 0.9.4 when I render the thumbnails there’s an object that appears in every thumbnail. It appears in every thumbnail, even in other folders/categories. Fantastic addon. Really appreciate the work you’ve put in. Is it possible to allow users to adjust the amount of rows/columns in the asset grid? I have a lot of FBX files and scrolling through them can become difficult very quickly. @SecretTomodachi I will take a look at it this on the weekend. @Botoni can’t really copy the issue. but will take closer look. @nafergo will take a look at material categories, but due to “my” ideology it is better to have materials separated into files. So when modifing and (for instance) uploading to cloud it would only upload small blend file insead of big one. @Alex_S I remember there was an option for that in the api, i will try to put it in settings. You are right it even looks annoying. 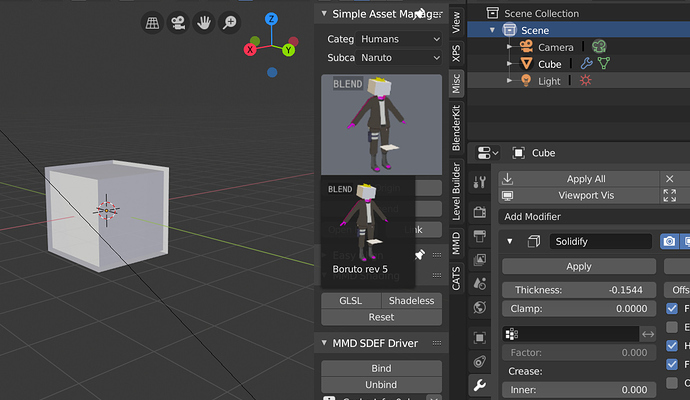 When I import a file (append) for some reason, only part of it appears at the cursor, the rest appears at the 0,0,0 origin – im using simple asset manager and I’m in version 2.8 – any ideas whats going on? Does this add-on support individual node groups? Or only full materials? Hey there Tibicen. I’m also experiencing the following issue in which whenever I take a preview image, sometimes the hidden objects that come with the model gets revealed. There are even times where my collection layout gets messed up. Also, is there a faster way to render preview images? Everytime I need to create or re-render them, I have to go into user preferences. I did add it to my quick favorites menu but I can only access that option inside user preferences. The offending file had that object marked as non selectable. Marking as selectable again fixed the issue. omg! Good to know, I was thinking how to redo whole import thing :P. I’ll add func to mark selectable while rendering. I hope it would help the script. I’m moving to another country that’s why the delay with next release. hey… I can see the addon installed in preferences but it does not show up in properties, not sure where I am wrong. This is shaping up to be a really terrific asset manager. Thanks for all the hard work on this! I’d like to request a “Search In Subfolders” option along with a “Recursion Level” that allows users to define how many subfolders the asset manager will search down into. The Easy HDRI addon does this. You point it to a master folder of HDR images and then have the option to tell it to search subfolders and how many levels deep. I’d also like to request the ability to load texture images via the asset manager. I know we can simply drag and drop them from a file manager or simply navigate to them in the Shading workspace. 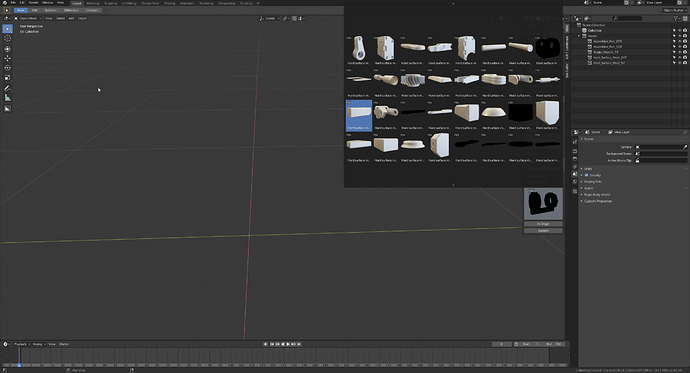 But it would be nice to be able to search for common textures just like we can for HDR images within the asset manager. Thanks for your consideration and looking forward to the next update! from the right there opens the vertical tabsfilled “Tool Shelf” with the sidebar on it’s left side. You find the addon in the sidebar, when tapping the uppermost tab “View” of the Tool Shelf. Should you be interested in knowing a trick how to find most of the addons in Blender, say so, and I can you write a small “HowTo”. I’m very excited about this addon! I am having a little trouble with rendering the preview images however. Whenever I hit Render missing previews, the addon will open another instance of blender but then not do anything else. Is there another step I am missing?